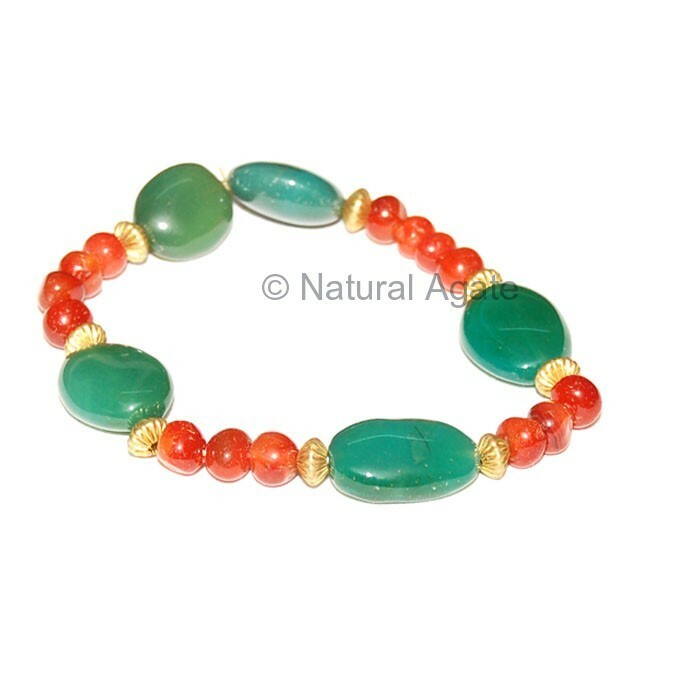 Big beads of green onyx and small round beads of red carnelian are strung together to make this bracelet. The combination of Green Onyx and Red Carnelian Bracelet is attractive and nice. You can get this bracelet only on Natural Agate.